Secure your tablet and back up its data. Locate, lock, unlock, and wipe the data remotely. 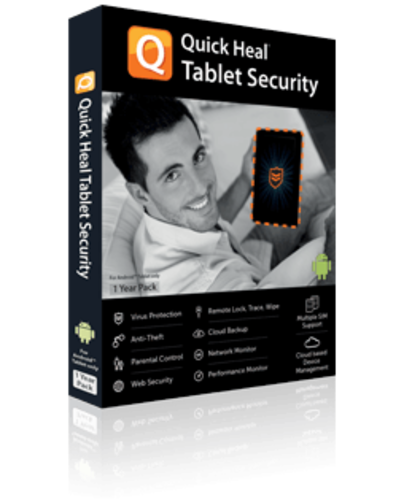 Quick Heal Tablet Security for Android is a total security package, designed to secure your tablets and private data from malware. This suite provides virus protection to your tablets and defends it from phishing attacks. It also takes backup, improves device performance, and keeps track on network data usage. Provides anti-theft security and parental control.